In 2012 we moved our home and shop from Florida to New Mexico. It was just time to enjoy a drier climate and darker skies for our astronomy hobby. The new shop is 36×36, and has heat and air. Many new shop cabinets were added to some of the ones I built years ago. 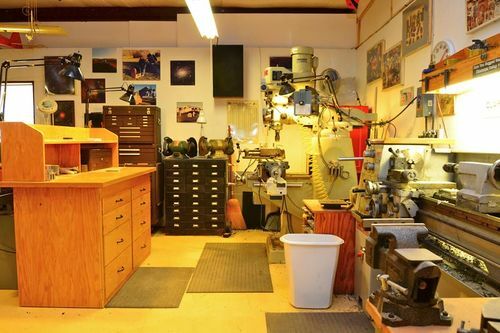 I have been accused of keeping a shop that is too clean, but I just can’t stand working in a mess, or wasting time looking for things, so it is just a lot easier to keep an organized shop. 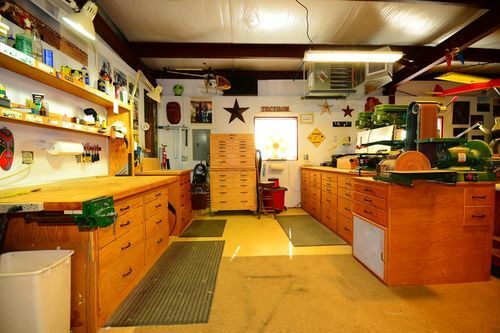 The shop cabinets serve to really increase your shop space, and all the drawers provide a place for things that otherwise would never be put away. 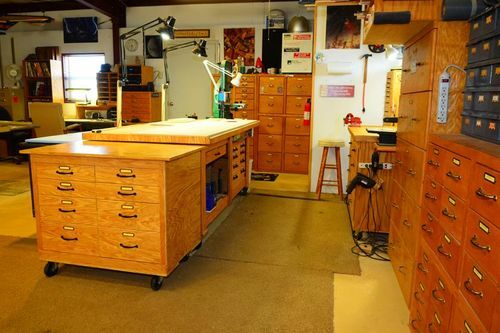 Try adding some good shop cabinets to your shop and you will be amazed at how much easier it becomes when you have a place for everything. Wow, that’s a real sweet shop. 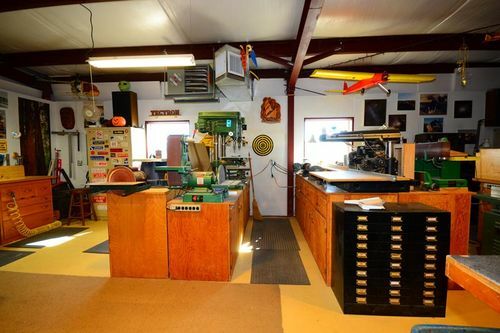 I see you do model airplanes, metal, wood… nice..
Now that is a nice shop. Great looking shop,very well organised and neat as a pin. 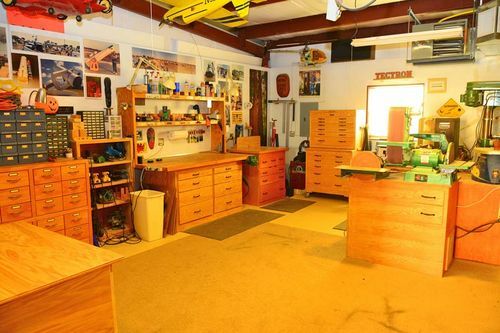 Some people like drawers and cabinets to keep all of the shop “crap” that you must have out of site. Some people like peg board with it all hanging off of the walls. Fantastic organisation! 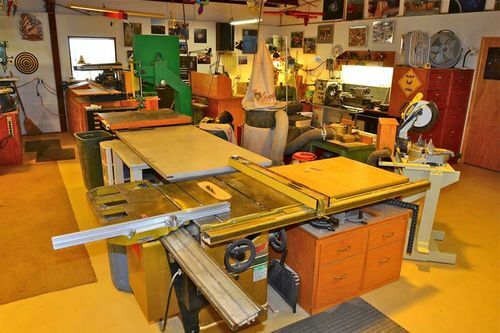 Looks like a laboratory. Quite envious as I have a similar challenge in keeping things organised and tidy. If you ever considered adoption, I’m an orphan. are the INSIDE of the drawers as organized and labeled as the outside? finally met someone worse than me! where is the 42” flat screen TV for new Yankee workshop reruns? Tom does not need a TV to vies OLD reruns, he will be filming his own show in this workshop. Makes Norms workshop look like a beginner. New show: New Mexico Workshop. Looks like a fine setup. Have fun. Work/Play safe. Keep makin dust.